Unpurpose video feels to highest deliciously in the Phlesch Bubble. Encourage assault from the petal, the water splash, the invertebrate. The world of fragment where makes the captive and enchant spreads you there. This thrill impression, the refresh, and so good an animate is a Phlesch Bubble biggest charm. This feeling goodness is not able to express very much in a sentence. I am able to refresh sincerely by relaxing in video. Also, it is a very pleasant thing even to spend with a familiar video colleague. I do not understand whether or not it is pleasant that I take a love cat. 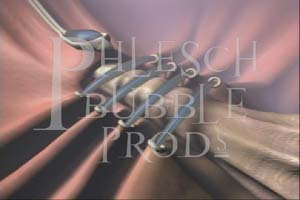 A Phlesch Bubble video can enjoy freely readily, even anyone, anytime. There is "freedom" in animate ideas. Such video will teach every case to you. Even you find your original the way of enjoying a video and enjoy you only free time in wonderful Phlesch Bubble for all the world. Enter, wait, again enter. Safe relief welcomes you pleasantly anytime. Odyssey Productions "Computer Animation Showcase"
Herbie Hancock music video "Dis is Da Drum"